Nixon’s Goals Were Achieved. As intended, the tsunami of crack cocaine disproportionately decimated African-American and poor “hippie” communities. The U.S. prison population exploded by 700% between 1970 and 2005 and is still growing today. Of course, there are other complex economic and cultural challenges associated with poverty and crime, but all those challenges are magnified by the blatant sabotage and systemic corruption perpetrated and perpetuated by politicians. That’s why all Americans should be outraged at any government that shamefully and compulsively engages in criminal behavior and the grotesque waste of our national wealth. The Futility of the War on Drugs. Portugal, Switzerland, Canada (Vancouver), Chile, Brazil, Mexico, Netherlands, Australia, the Czech Republic, Italy, and Germany have all rationally decriminalized marijuana. Predictably, in every case there has been dramatic public cost savings and dramatic improvements in overall public health outcomes. Unlike the U.S. where drug use and death rates have been consistently rising, the rates in those countries that decriminalized marijuana remained relatively constant.8 That suggests drug use correlates with a certain personality type in every population, which will find a way to use drugs regardless of their cost and availability. 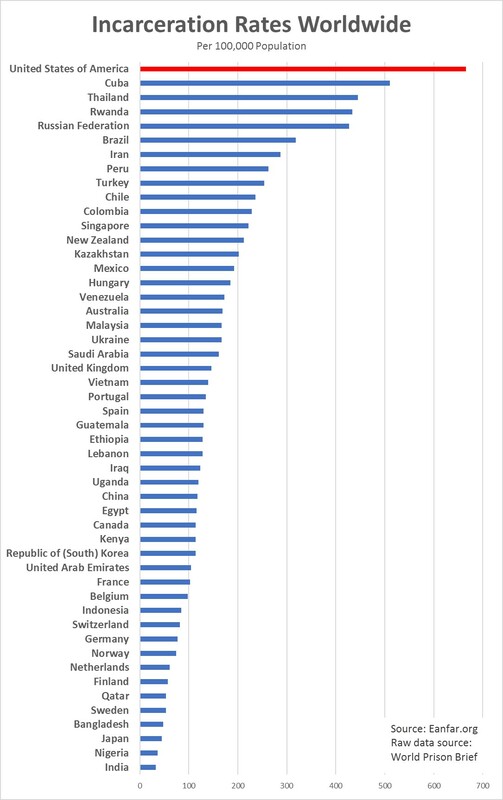 The chart below confirms what anybody already knows if they’ve studied the history of the Prohibition Era: Criminalizing alcohol, tobacco, drugs or any sin product does nothing to eliminate its use, but criminalization inevitably and dramatically increases their costs to society. The Global River of Drug Money Fuels Anti-Democracy Operations. A kilogram of gold has a market value of approximately $40,000 (mid-2017); in contrast, a kilogram of heroin has a market value 4.5x higher at approximately $180,000 (mid-2017). The inflated market value of heroin only exists because of the USG’s destructive War on Drugs, which gives violent drug cartels monopoly power over the highly inflated $500 billion-per-year global drug trafficking market.9 This market is also a significant source of illicit cash for the CIA and other government agencies around the world, which tap into the global river of drug money whenever they need an off-book source of funds to pay for their covert anti-democracy operations. This is one of the most significant reasons why the USG has refused to decriminalize drugs. Drug Criminalization is far More Destructive than Drug Use. 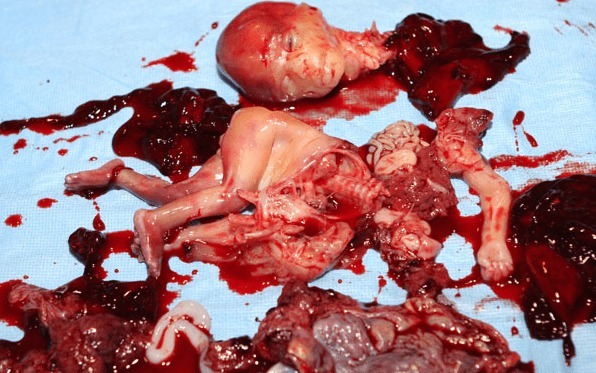 Over $1 trillion of wasted American taxpayer funds, gang shootings, murderous drug cartels, deadly overdoses due to uncertain purity/quantity of doses, exploding prison population, infectious diseases from needle-sharing, illicit wars and funding of anti-democratic regimes worldwide, broken families and communities . . . all these problems are directly caused by the criminalization of drugs, not the actual use of drugs. Despite overwhelming evidence that the War on Drugs has actually been a War on Liberty and a total failure in every conceivable dimension of public health and economic policy, why did the first African-American U.S. President continue the same policies as his predecessors? Why does the USG continue to inflict this ill-begotten War on Liberty upon its citizens and allow generations of Americans to rot in prison? Now we’re ready to learn the whole truth. A Mountain of Incarcerated Humanity. 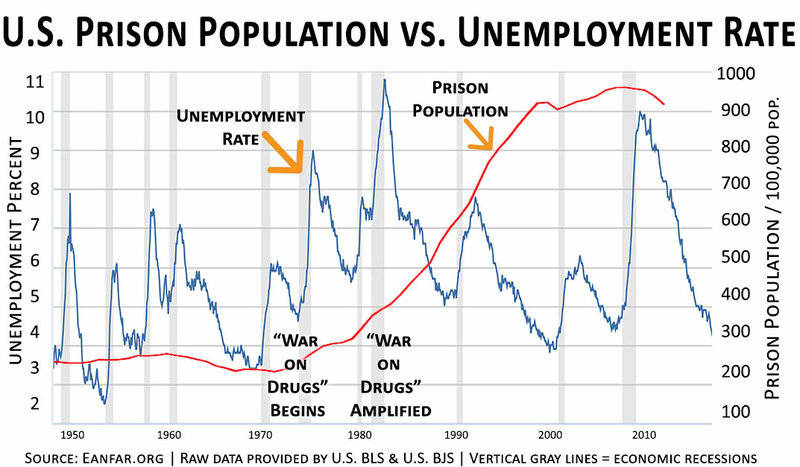 Like all leading socioeconomic indicators, the unemployment rate spikes must occur before prison population spikes, i.e., deteriorating economic conditions are a precondition for rising prison populations. This is why the prison population rises after the unemployment spikes. Then, the longer mandatory drug-related prison sentences implemented by the Reagan Administration transformed the prison population spikes into a cumulative mountain of incarcerated humanity. Most People Don’t Take Drugs When They’re Happy. What type of population is more likely to take drugs: A jobless and insecure population suffering from systemically hostile economic conditions; or, a population anchored by a strong Middle Class that has enough economic security to achieve a sustainably high quality of life? 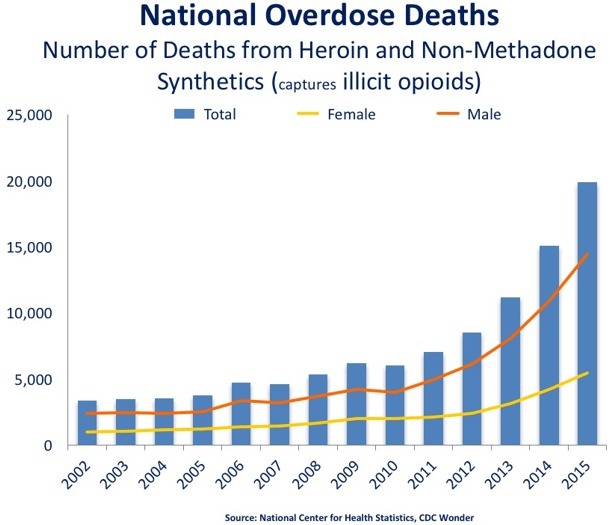 Despite the deceptive labor statistics propaganda from the USG, the rising drug use in America is directly caused by our country’s deteriorating economic conditions. Every living creature seeks to escape their pain, but Americans would have no need to escape into a drug-induced euphoria if they felt secure and happy. Why Does the War on Drugs Continue? Many people think racism is the culprit, but that’s not completely true. From Nixon to Trump and every U.S. president in between, this despicable War on Liberty continues because it’s much easier for politicians to criminalize drugs, store unemployed humans of all races in prison cages, and enrich profit-seeking prison corporations than to honestly deal with the ongoing human tragedy caused by their incompetent economic policies.14 It’s easier to destroy urban families and inner-city communities than to admit that neoliberal economic policies actually create more losers than winners. It’s easier to pander to Transnational Cannibals and incentivize them to discard the human labor force in their home country than to fix the structural economic conditions that cause them to discard the labor force in the first place. Restoring Economic Security and Personal Liberty. Creating the conditions necessary for human security and happiness is the primary reason that Democracy and representative governments exist. In fact, this is the theoretical deal of our constitutional republic: Citizens agree to give up a little bit of freedom by obeying legitimate laws in exchange for a secure and equitable society, but the USG is not upholding its end of the bargain. 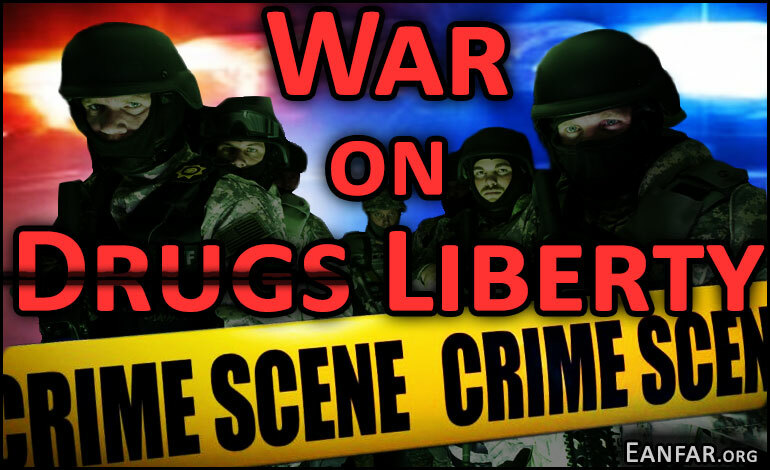 To the contrary, the War on Drugs is a War on Liberty, which is destroying American Capitalism and Democracy. 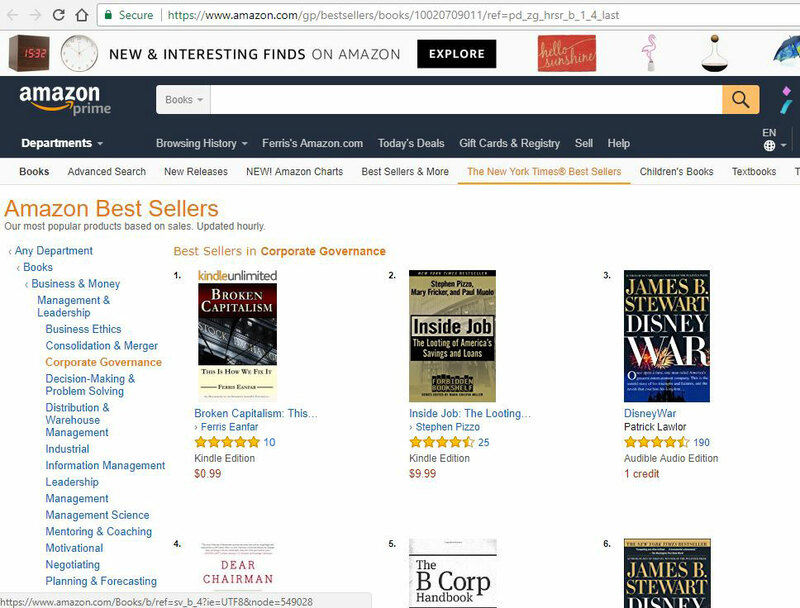 Please read Broken Capitalism: This Is How We Fix It to learn about the realistic, politically viable solutions that would stabilize the Middle Class, stop the criminalization of our lives, and restore trust and integrity in our global economy. 1 Parenti, Christian. Lockdown America: Police and Prisons in the Age of Crisis. New Edition edition. London; New York: Verso, 2008. 2 Baum, Dan. “Legalize It All.” Harper’s Magazine, April 2016. https://harpers.org/archive/2016/04/legalize-it-all/. 3 Haldeman, H. R., and Stephen E. Ambrose. The Haldeman Diaries: Inside the Nixon White House. New York: G. P. Putnam’s Sons, 1994. 4 Kinzer, Stephen, and Merilee S. Grindle. Blood of Brothers: Life and War in Nicaragua, With New Afterword. 1st edition. Cambridge, Mass. ; London, England: Harvard University Press, 2007. 5 See hundreds of facts and references here. 6 See hundreds of facts and references here. 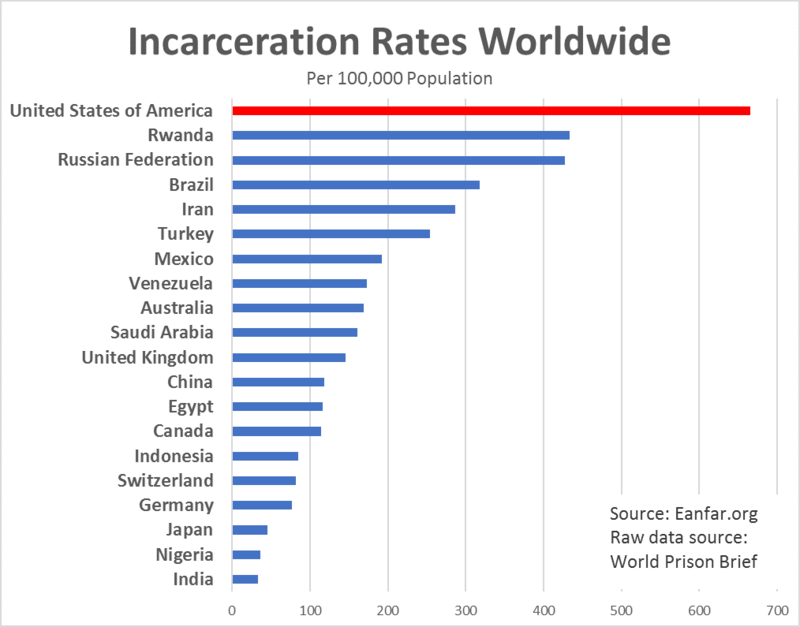 7 Highest to Lowest – Prison Population Total. (2016) by PrisonStudies.org. 8 Katz, Josh. “Drug Deaths in America Are Rising Faster Than Ever.” The New York Times, June 5, 2017, sec. The Upshot. 9 Transnational Crime and the Developing World–Global Financial Integrity. Global Financial Integrity. 10 Beware of the illusion of a steep decline in the unemployment rate starting in 2010. 11 See Nixon’s Televised speech on August 15th, 1971. Virtually every point he makes in that speech is a blatant lie, politically motivated deception, or a half-truth deliberately intended to distract people from the USG’s war crimes in Vietnam, the economic consequences of Vietnam, and his grossly incompetent economic policies. 13 Reagan’s administration also fiddled with the tax code (and here), but he did not significantly reduce taxes in the aggregate. He increased the size of the federal government and the USG’s national debt to record levels by feeding the military-industrial complex, which many Kremlin experts said was not necessary because the USSR was already rapidly imploding. He laid the economic and corporate governance foundations for the long-term destruction of the Middle Class in the U.S. and worldwide. And he used a chainsaw on every industry regulation he could touch. The long-term consequences of Reagan’s neoliberal economic policies still haunt the world today. I went to Reagan’s funeral and I was a die-hard Reagan fan when I was younger, but after analyzing the actual consequences of his policies, I’m no longer a fan.